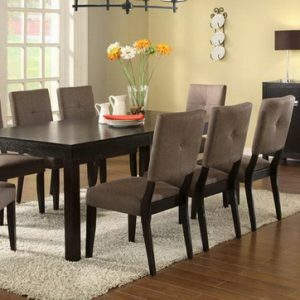 Simple and elegant is what the Modrest Wales Modern Smoked Ash Dining Table exudes. 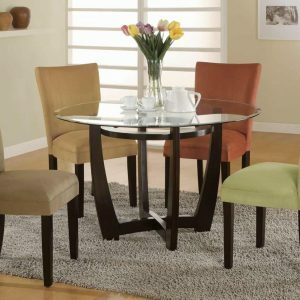 This is clearly seen on the exquisite dark grey smoked ash veneer finish with wood markings and brass accents on the legs. Capable of sitting 6 persons comfortably, it features angled corners that make it safe for anyone, particularly children. 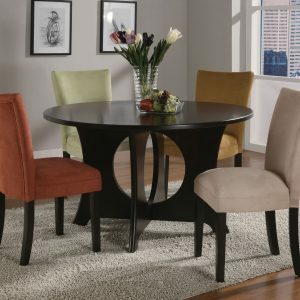 The unique position of the legs, which is sideways, is another milestone from the traditional design that sets this modern dining table apart.